As visitors arrive at Rappahannock County Elementary School they will see a colorfully decorated Christmas tree as they enter the building to remind us all of the holiday season. Students are also literally “decking the halls” of RCES as they build paper chains around the building in recognition of positive character virtues. Teachers are busy writing students’ names on “chain links” when they notice children going out of their way to help a fellow student or showing kindness in other ways. Children displaying positive character traits are recognized on the announcements as well. This “Cool, Kind Kids” program is part of our school’s bullying prevention initiative. Our goal is to build a school community of support by encouraging the following character virtues in our students: Caring, Citizenship, Fairness, Respect, Responsibility, and Trustworthiness. Together, we endeavor to add to our chain of character until it wraps around the hallways of our school and forms one connected chain. Eventually, students and adults need only glance up to see visual reminders of the many small ways we can show kindness and respect to others, and enrich the lives of those around us. 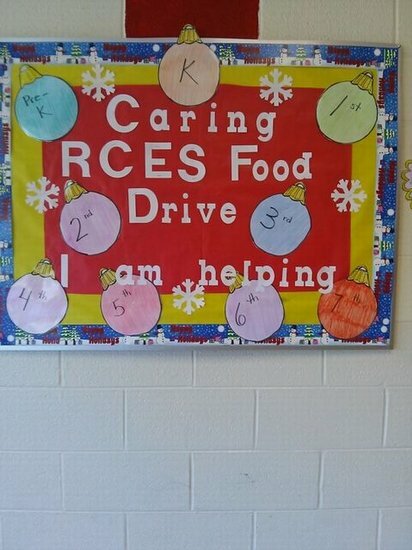 - These three articles have been collaboratively written by Mrs. Wheatley; Media Specialist, Dr. Donna Matthews; Superintendent, Ms. Kathy Zehr Rhodes; School Psychologist, Mrs. Candace Lamma; RCES Counselor, and the Bullying Prevention Team at RCES.